Insurance Coverage for Personal Wine Collections – What Do I Need? 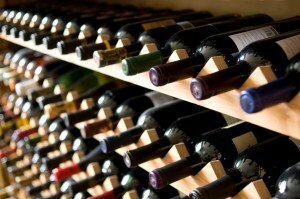 We here at Wine Storage Bellevue are often asked questions about wine insurance coverage for stored wine collections. Since this is not our area of expertise, we asked our friends and trusted insurance advisers at The Partners Group for their input. This is what they had to say. Insurance advisers are frequently asked questions regarding insurance coverage for wine. Here are some of the most common questions to help guide you through the process of deciding whether or not to purchase coverage. Doesn’t my homeowner’s policy cover my wine? No, some policies provide limited coverage, but only for certain perils, and not always at locations other than your home address. In order to ensure you have proper coverage, you need to ask your insurance agent for a wine rider, or will need to obtain a separate wine policy. What typically is covered under a wine rider or policy? Coverage is typically for traditional all risk perils including fire, theft and wind. Wear and tear, third party coverage, intentional loss, consumption, insects or vermin are typically excluded. Is shipping or transit covered? It depends on the policy, but most riders or separate policies will, be certain that you know what areas transit is covered (i.e. Worldwide vs. United States). Is failure of electronic equipment covered? Typically riders and separate polices will cover damage caused by power failures or electronic malfunctions. Which bottles should I be concerned about? Any bottle that you are concerned about the value should be scheduled. We recommend bottles valued higher than $1,000, with bottles less than this covered with blanket coverage. Can I get coverage in multiple locations? Please be sure to check with your insurance provider to make sure your wine is covered at locations other than your primary address. How much do I need to insure my wine for? We recommend that you cover your wine for fair market value, and make sure that your policy will cover you adequately in the event that your wine appreciates in value. Where can I go for a separate wine policy if my home policy will not provide coverage or my agency cannot find coverage? You can always purchase a policy online through Bliss and Glennon at InsureYourWine.com. If you would like assistance in placing coverage, the insurance agents at The Partners Group are available to assist as well – please call (877) 455-5640. What occasion is “special enough” to warrant opening that really... How Much Does Wine Storage Cost?